bureau^proberts role as a leader in Brisbane architecture and interior design was confirmed on Friday night at the Australian Institute of Architects' 2015 Brisbane Regional Architecture Awards where they won more awards than any other practice. The awards recognise the best of Brisbane Architecture and bureau^proberts has once again been recognised for their outstanding design work across the multi-residential, urban design, and public architecture sectors, as well as their expertise in interior design, and combining art and architecture in their projects. The firm received three regional recommendations for their multi-residential projects including one for the award winning SILT apartments, which sold out in five weeks. According to the jury the project is a 'unique and confident piece of architecture, immaculately detailed and built to create a memorable experience. 'M&A, a multi-residential development in Fortitude Valley was also recognised in both the multi-residential and urban design categories for its pedestrian laneway, art installations and vibrant colour that has revitalised a quiet corner of the Valley and created a new retail and residential destination. The third project to receive a Regional Commendation in the multi-residential category is the Rowlock development on Attewell Street in Nundah. Kent Road House won a Regional Commendation for its contemporary interior architecture. The projects reflect bureau^proberts focus on high quality design, and their ability to create marketable projects that make a positive contribution to Brisbane's urban fabric. The awards also highlighted the practice's strong track record in public architecture. The Bellbowrie Pool received a Regional Commendation as well as winning the Australian Institute of Architects Prize for Art & Architecture (QLD). 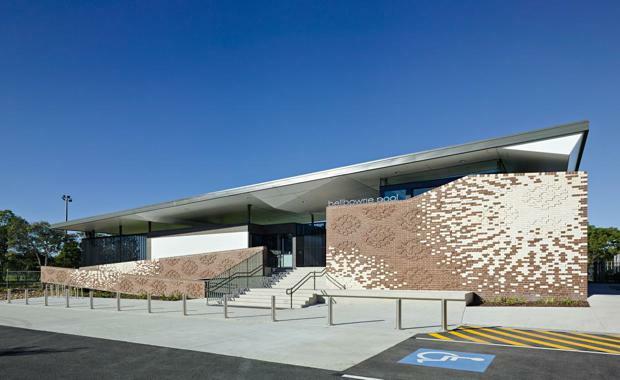 "The Bellbowrie public pool building is a delightful find in a suburban scene. The artwork consists of brick motifs referencing local flowering gums with abstract representation...making the building a miniature artwork," the Jury said.